In the 90's, there were only a few roads that led out of Marikina City to the neighboring cities Quezon City, Pasig City, Cainta and Antipolo City. A. Bonifacio St. was the main artery of Marikina leading out to Marcos Highway and eventually connecting to Aurora Blvd in Quezon City. An access road though was developed to have an alternative means to get to Quezon City from Marikina City and that is the Tumana Bridge. From J.P. Rizal Street in Concepcion, turn at the Bagong Farmers Avenue 1 and this road leads straight to the Tumana Bridge. 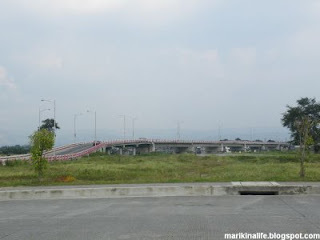 In September 2008, the House of Representatives approved the new name of Tumana Bridge which is now known as Gil Fernando Bridge. The change was due to the newly constructed and elevated flyover connecting two major districts, Concepcion in Marikina City and Balara in Quezon City. 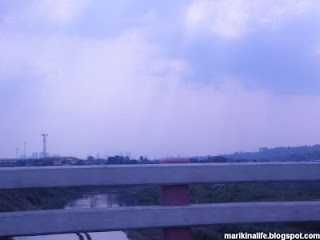 Before this new bridge, an old bridge existed but was impassable the moment the Marikina River's waters rised. The bridge was almost as low as the river water which is why the bridge disappears when it is submerged in rising waters. The new bridge has taken care of this problem. The bridge is strictly enforcing the passage of standard vehicles on the bridge. Bicycles, pedicabs, people and trucks are not allowed to use the bridge. 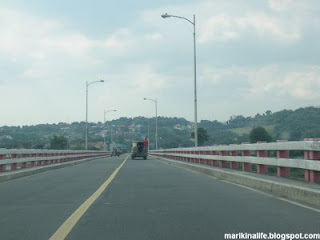 This is what I call a scenic route as you traverse the bridge from Marikina and cross the river to the serene fields and quiet neighborhood along the hillside in Balara eventually winding up to Katipunan Road. You can cut enjoy the scenery and cut travel time by half by using this access road. 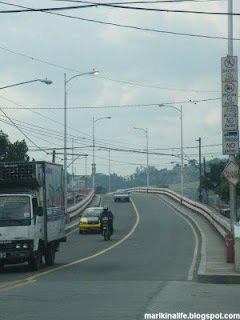 Would you happen to know if a jeepney or FX passes through this bridge? there aren't any jeeps that pass through here. there are some FX transport services that pass through here as shortcut to quezon city, especially when going towards north side of quezon city. you can check out the FX terminals at Bayan (fronting the old greendale supermarket) and at Bayan-bayanan, Concepcion (front of 7-11 across Meralco). Some of them change routes so it would be better to ask first. Hi, Tumana-Balara jeeps actually use this bridge. The travel time is really quick.